Final treatment plan: Discussed salvage surgery and salvage SRT which were thought to be too high in morbidity. Placed on ADT. James Clifton Vestal, MD. Urology Associates of North Texas. USMD Prostate Cancer Center, Arlington, TX. ProstaScint is a registered trademark of Aytu Bioscience, Inc.
Uptake within the central and right peripheral zone of the prostate suggestive of recurrent malignancy, no metastases. 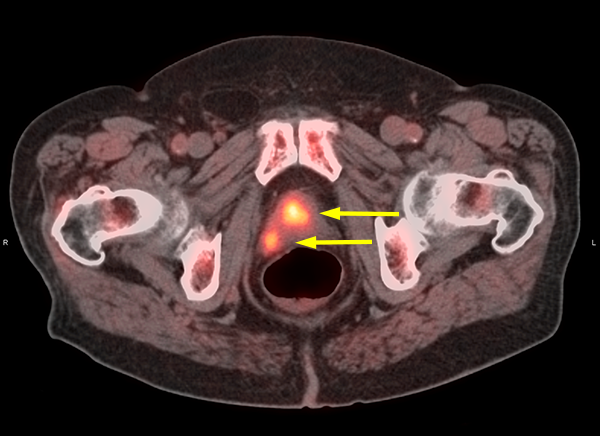 Uptake within the central and right peripheral zone of the prostate suggestive of recurrent malignancy. 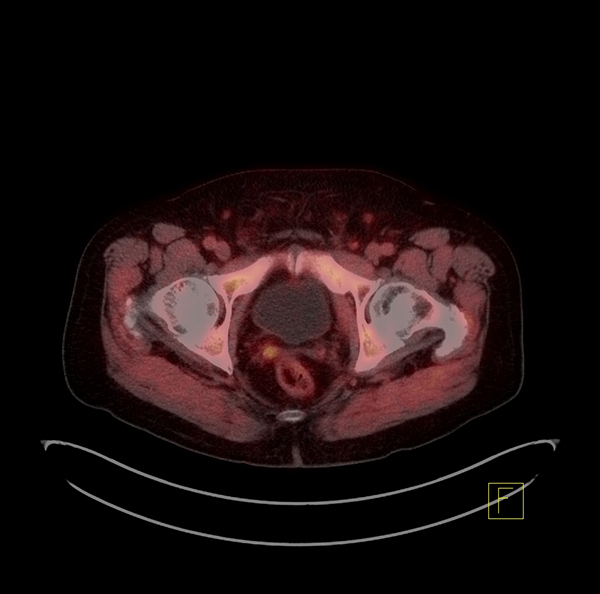 These case studies are being provided to you as examples of the images and information available following Axumin PET/CT imaging in men with suspected prostate cancer recurrence based on elevated blood prostate specific antigen (PSA) levels following prior treatment. 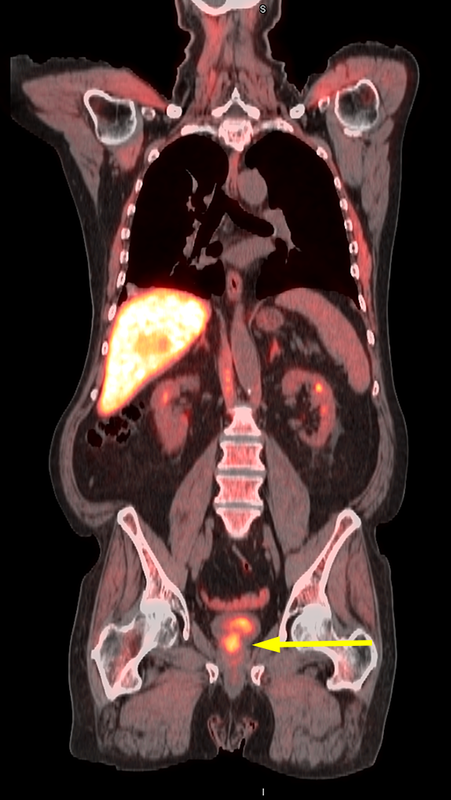 The responsibility for the accurate and timely acquisition and interpretation of images using Axumin PET/CT scanning rests with the nuclear medicine physician or radiologist supervising the PET/CT imaging facility. Axumin is not indicated for directing or changing patient management. These case studies are not intended to substitute for the independent medical judgment of the physician(s) responsible for the individual patient’s management, nor are they a guarantee of any specific clinical results. 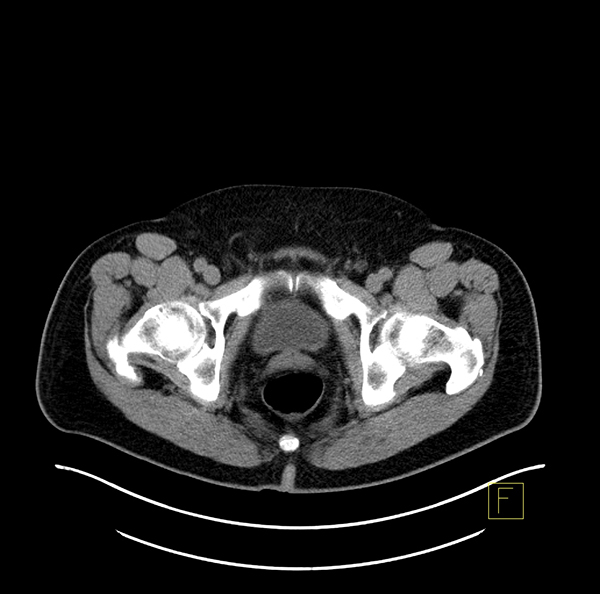 Incidental findings are noted in some of the cases, as examples of potential, unanticipated abnormalities that may be identified during interpretation of Axumin images. 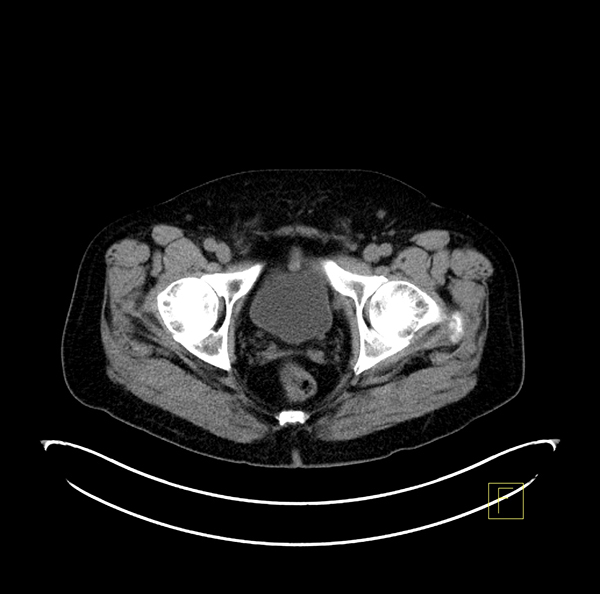 The diagnostic efficacy of Axumin for the identification of these incidental abnormalities has not been established and confirmatory testing may be considered appropriate. These case studies are post marketing, on label, and, at present, there is nothing to suggest that adverse events potentially change Axumin’s safety profile. 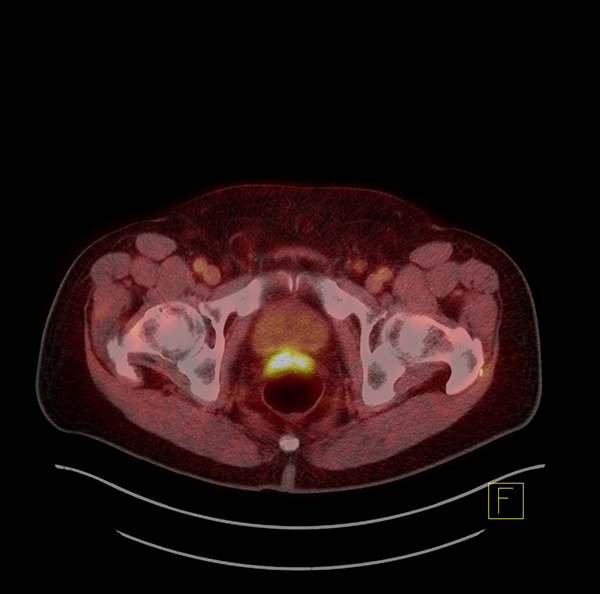 Learn about the Axumin PET/CT procedure. *Please note that reviewing these case studies is not a substitute for Axumin Image Interpretation Training. For information on Axumin Image Interpretation Training, please follow the instructions here. Learn how to interpret Axumin images.